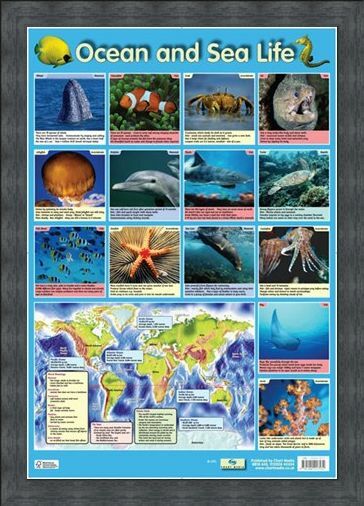 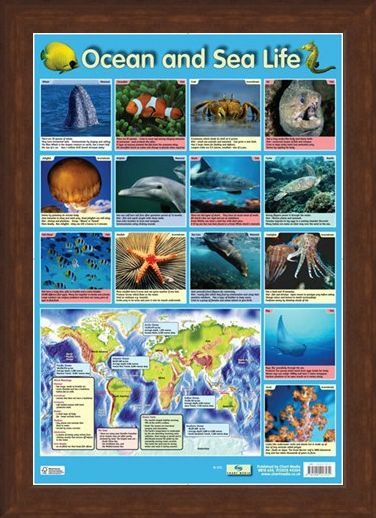 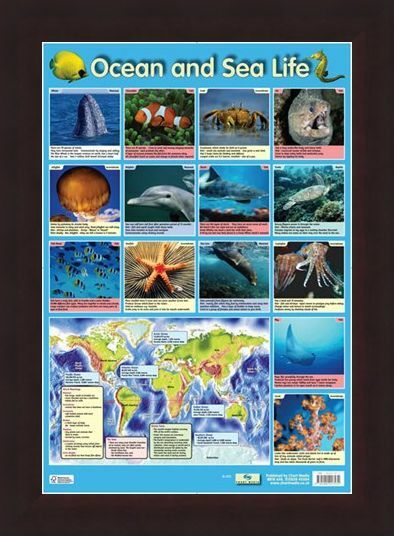 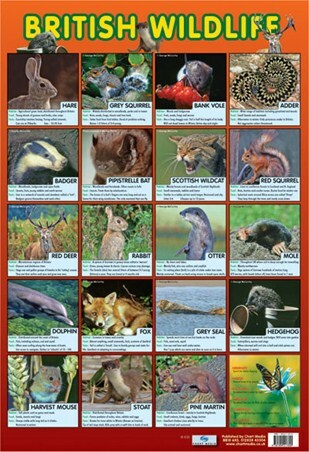 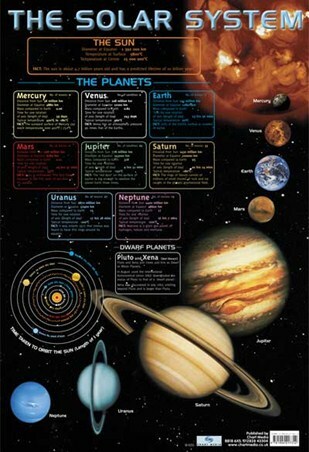 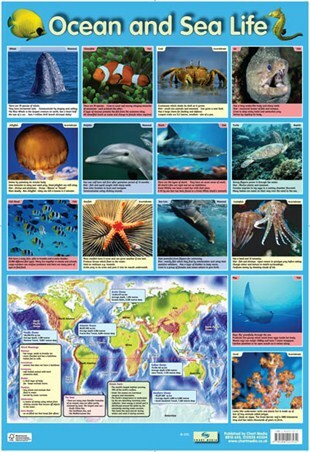 Educational Mini Poster: Deep down below sea level live hundreds and thousand of species and here they are to show you exactly what they look like and how they live. 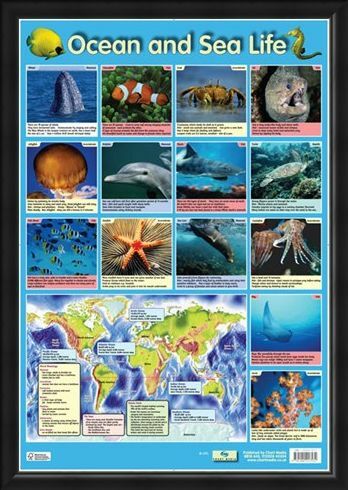 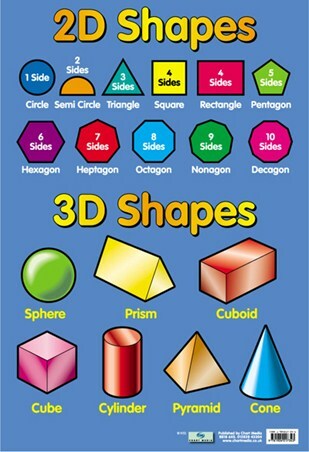 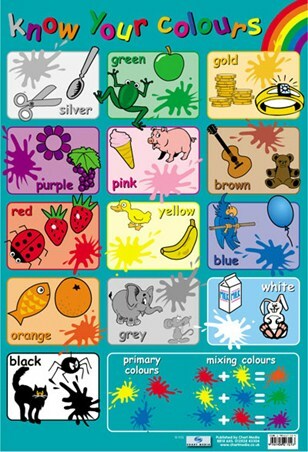 A full range of sea creatures are depicted, including a Whale, Sea Lion, Dolphin and Shark who happily tells you that he can bend a steel bar with his jaw. 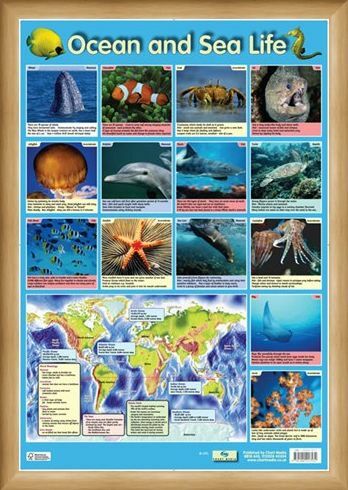 With stunning photography and amazing facts, this glossy poster will be a sure fire hit with any lover of the ocean. 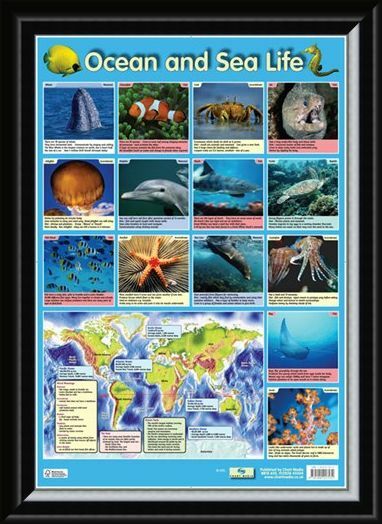 High quality, framed Ocean and Sea Life, Sea Creatures mini poster with a bespoke frame by our custom framing service.